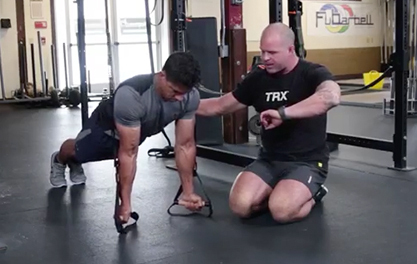 The creators of the TRX Suspension Trainer® have partnered with MobilityWOD founder Kelly Starrett to create the TRX® Duo Trainer. This innovative bodyweight training system adds a new dynamic and high degree of stability to movements like Dips, Muscle-Ups and Pull-ups. Modeled after traditional gym rings, the Duo Trainer offers far greater versatility and accessibility for athletes of all backgrounds and skill levels. The complete kit includes (2) Infinity Anchors, (2) Mobile Grips, and (1) Mesh Carry Bag. Customers can also choose between two length options, depending on the height of their gym’s ceiling or system anchor points. Unlike a gymnastic ring, the Duo Trainer’s Mobile Grips have a directional-triangle design and straight wooden handles, which can be ergonomically advantageous. “The straight handle unloads people’s wrists,” Starrett says. “They’re easy to grab and easy and quick to adjust.” The design works with your hand/wrist physiology to optimize body mechanics, allowing for full body weight loading with reduced risk of injury. The triangle design around the grip also helps prevent the strap from digging into the forearms. 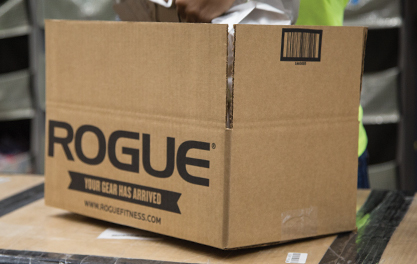 Important: The branding on the handles should always face away from you for optimal performance. 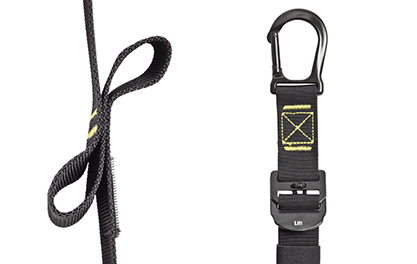 The durable Infinity Anchor Straps of the TRX Duo Trainer connect securely to anchor points via a provided carabiner. These straps, in turn, feature multiple “Infinity Loops,” which enable athletes to attach their Mobile Grips at almost any desired height for a variety of movements, from rows to dips, push-ups, and more. The Mobile Grips connect to the Infinity anchors via their own carabiner, and can also be attached independently to a high anchor point for pull-ups and other hanging exercises. Fully adjustable for athletes of all sizes, the Duo Trainer also includes foot cradles for more full body training options. The Duo Trainer is a great companion system to the TRX Home Suspension Trainer, and serves as a complementary warm-up tool to other popular Kelly Starrett / MobilityWOD products such as the Gemini, Supernova, Battlestar, and the M-Wod Stick and Cradle. 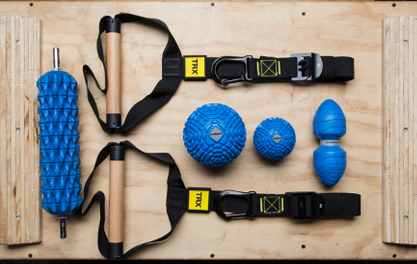 These precision mobility tools have helped thousands of athletes eliminate nagging muscle tightness, recover faster, and reduce greater injury risks down the road. TRX’s patent-pending Infinity Anchors and Loops permit quick and accurate, efficient adjustments with easy visual guides to help you along. This macro and micro adjustment system makes moving from one exercise to the next fast and easy. TRX® Duo Trainer™ is rated 4.0 out of 5 by 1. Rated 4 out of 5 by sometimesHappy from Great alternative to traditional rings Doing weighted dips and push ups on rings had really started to hurt my wrists. 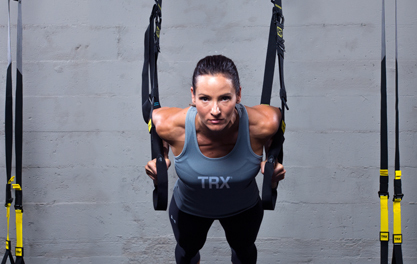 Enter the TRX Duo Trainer: they're sturdy, well-made and most importantly have reduced any discomfort to my wrists; the wooden straight handles are super comfortable and allow you to maintain straight wrists and proper alignment. Despite these great positives, my main gripe is the awkward way the Duo Trainers adjust. There are no measurements on the straps and micro adjustments on the handles are finicky to say the least. While this design is consistent with other TRX products, if improved the Duo Trainers may be a great alternative/replacement to traditional rings.